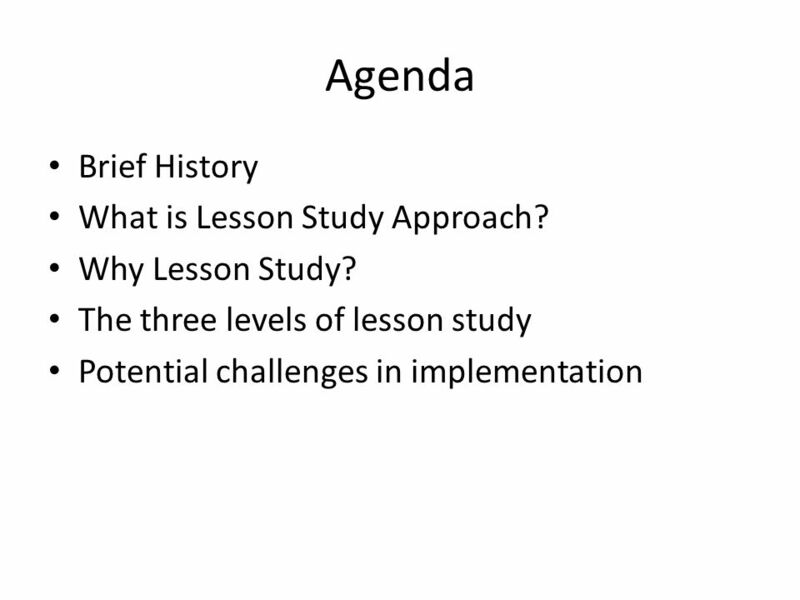 2 Agenda Brief History What is Lesson Study Approach? 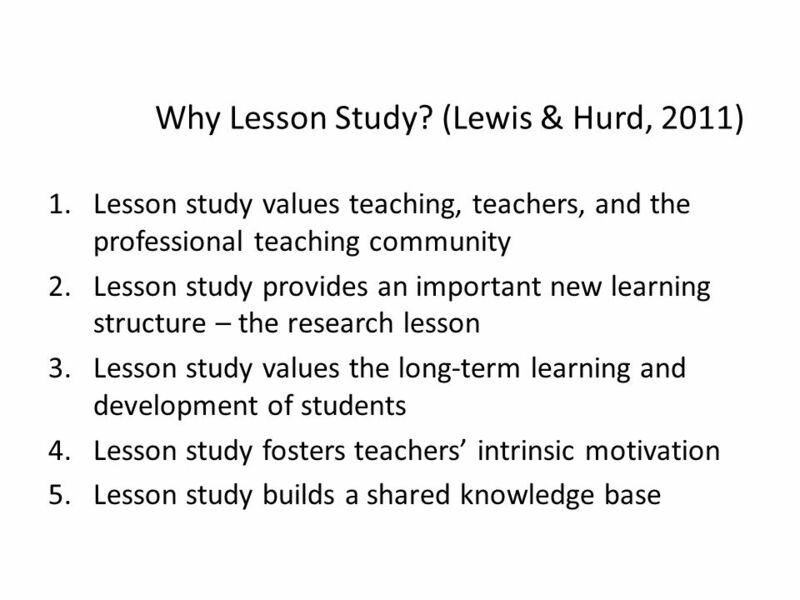 Why Lesson Study? 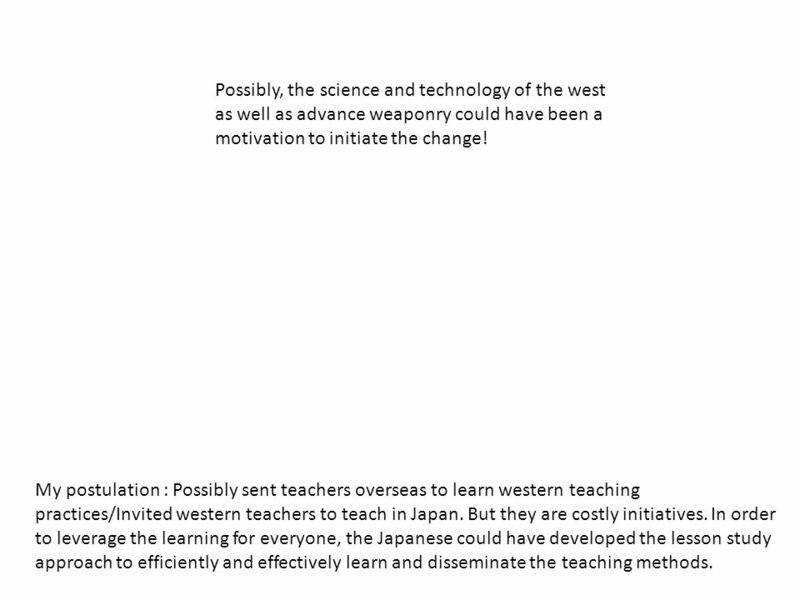 4 Possibly, the science and technology of the west as well as advance weaponry could have been a motivation to initiate the change! 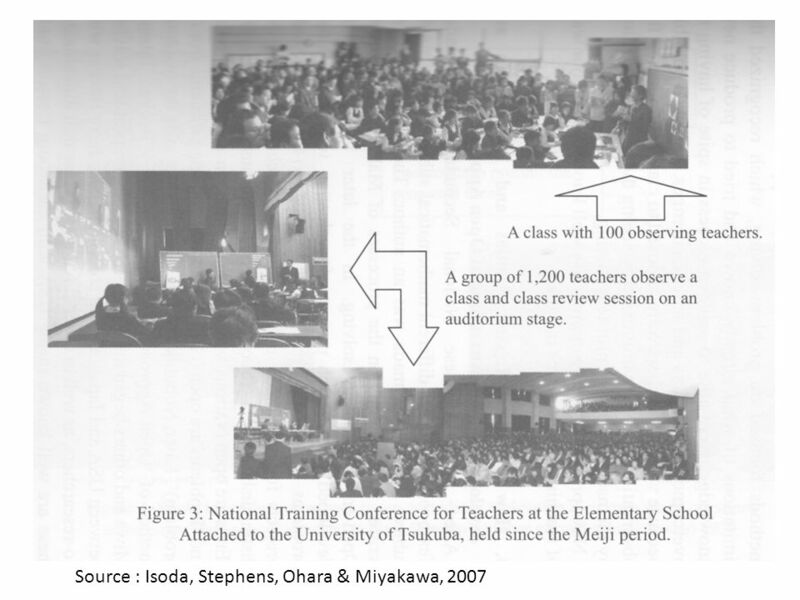 My postulation : Possibly sent teachers overseas to learn western teaching practices/Invited western teachers to teach in Japan. But they are costly initiatives. 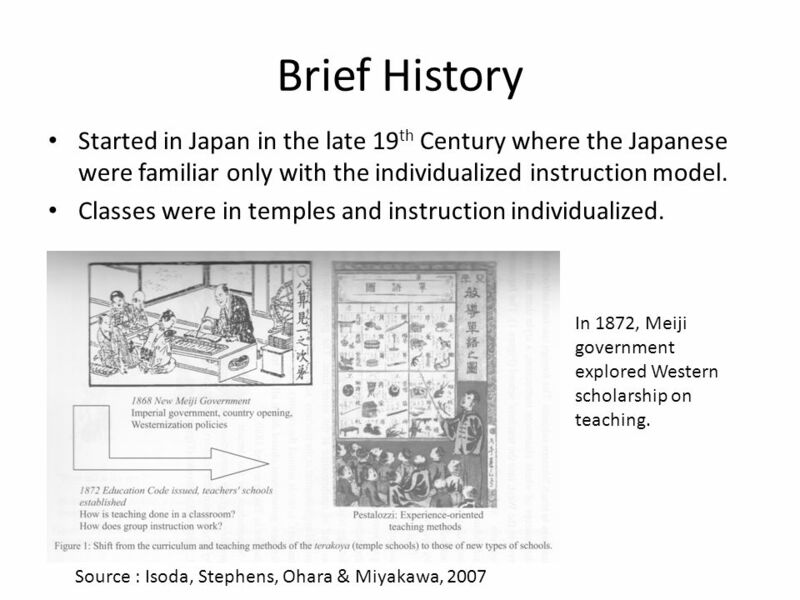 In order to leverage the learning for everyone, the Japanese could have developed the lesson study approach to efficiently and effectively learn and disseminate the teaching methods. 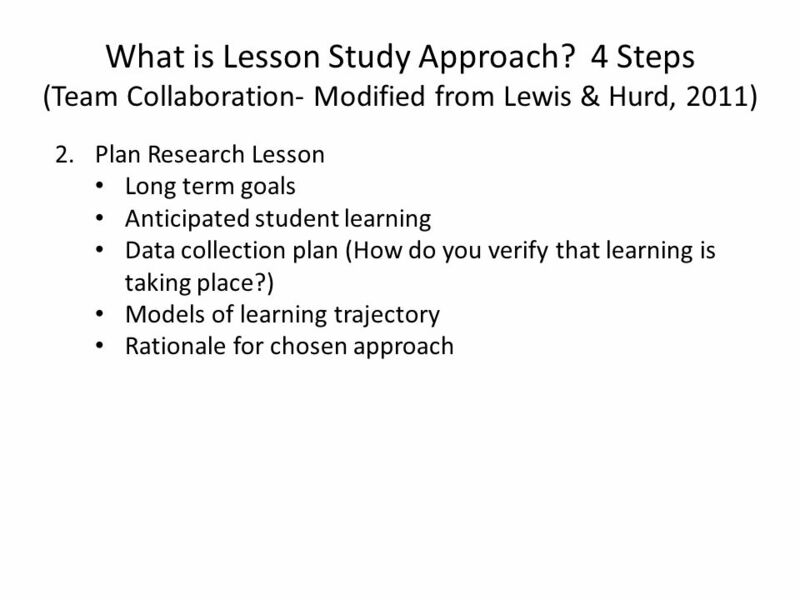 10 What is Lesson Study Approach? 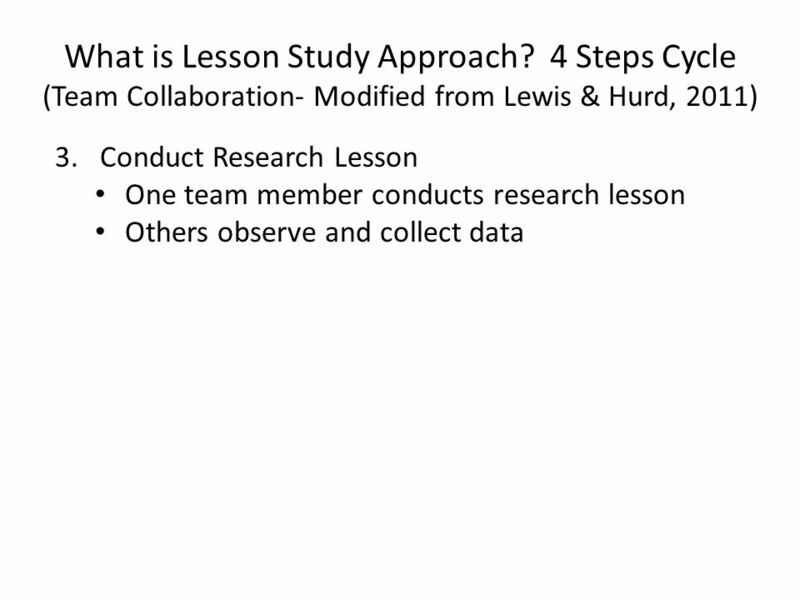 Lesson Study is an approach to professional development in which teachers collaborate with one another to develop a lesson plan, teach and observe the lesson as well as to collect data on student learning, and also use their observations to refine their lesson (Stepanek et al., 2007). 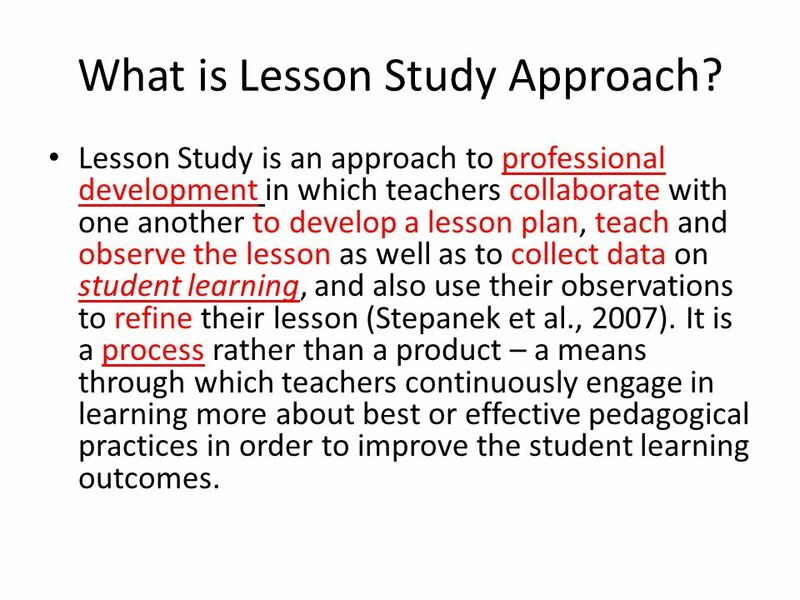 It is a process rather than a product – a means through which teachers continuously engage in learning more about best or effective pedagogical practices in order to improve the student learning outcomes. 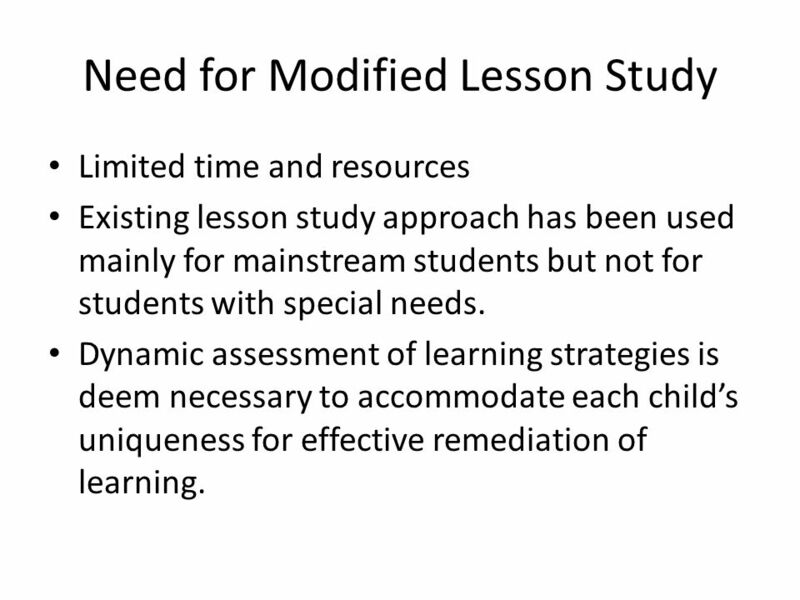 13 Why Lesson Study in Special Education? 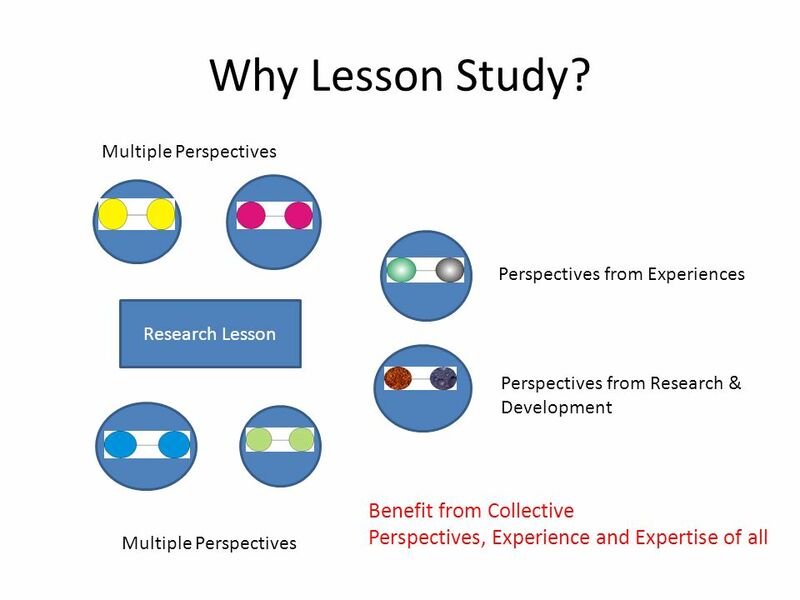 Limited time and resources Existing lesson study approach has been used mainly for mainstream students but not for students with special needs. 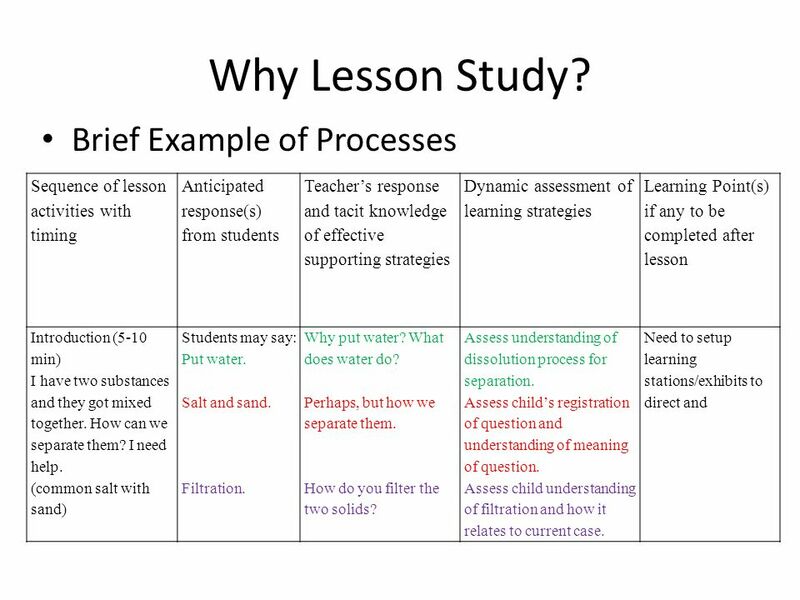 Dynamic assessment of learning strategies is deem necessary to accommodate each child’s uniqueness for effective remediation of learning. 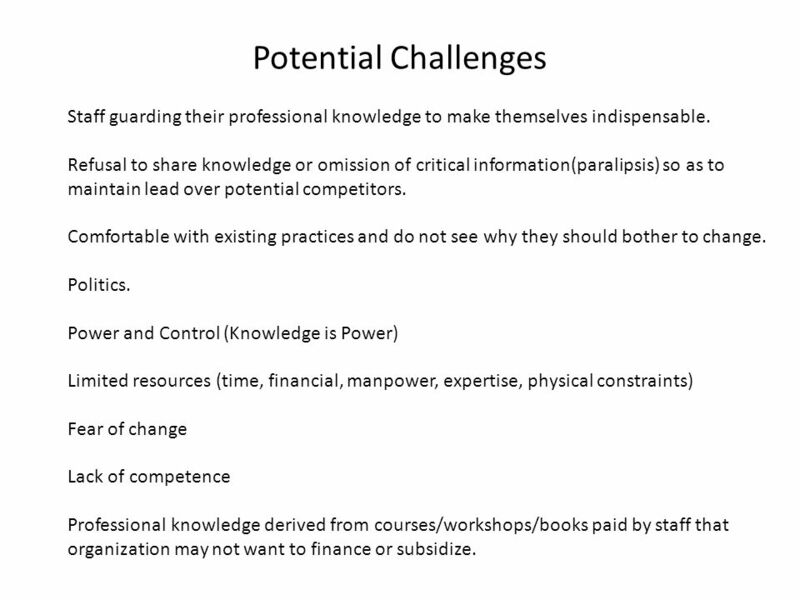 17 Potential Challenges Staff guarding their professional knowledge to make themselves indispensable. Refusal to share knowledge or omission of critical information(paralipsis) so as to maintain lead over potential competitors. 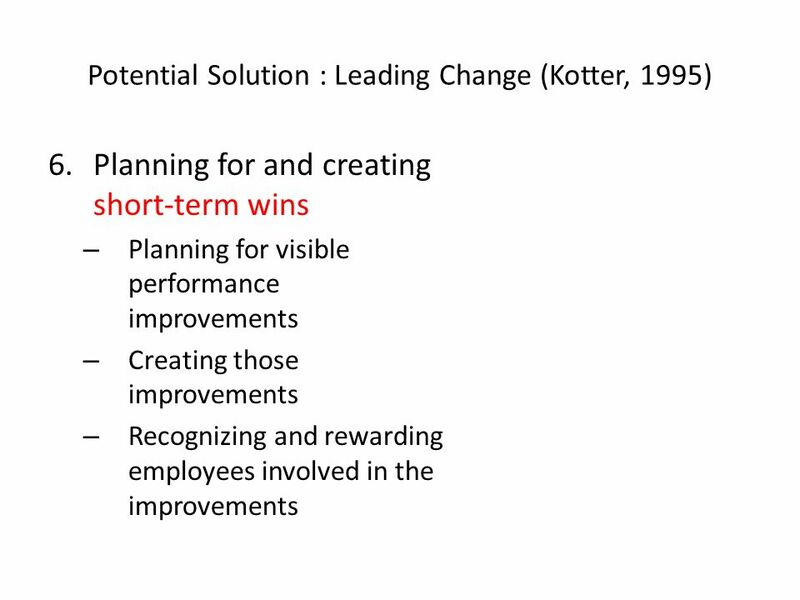 Comfortable with existing practices and do not see why they should bother to change. Politics. 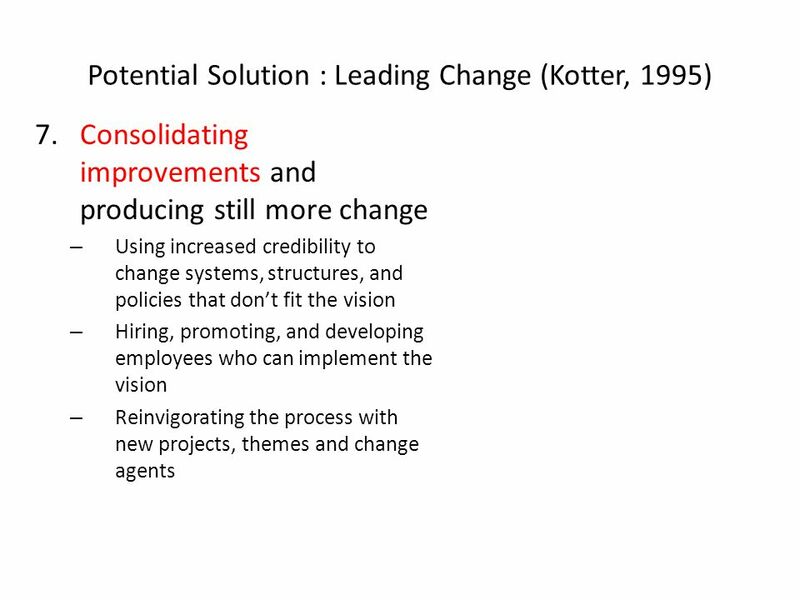 Power and Control (Knowledge is Power) Limited resources (time, financial, manpower, expertise, physical constraints) Fear of change Lack of competence Professional knowledge derived from courses/workshops/books paid by staff that organization may not want to finance or subsidize. 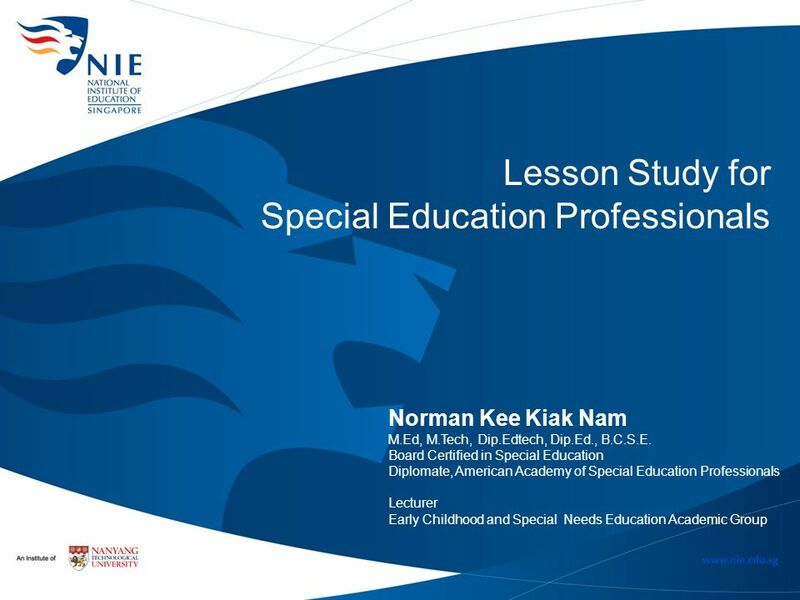 Download ppt "Lesson Study for Special Education Professionals"
Leading Change * * Kotter, John. 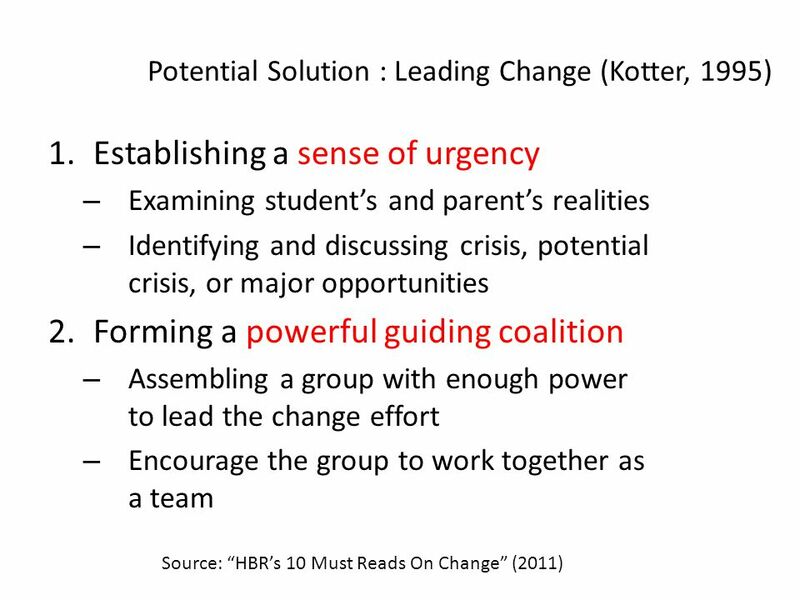 Leading Change. Boston: Harvard Business School Press. 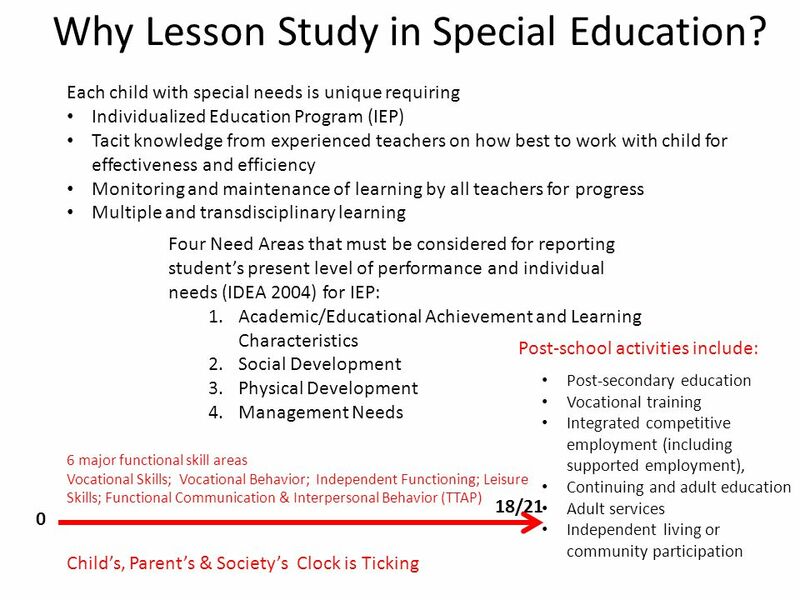 2/27/2014 The California Department of Education Early Childhood Special Education Field Meetings Fall 2008 Preschool Learning Foundations for Special. 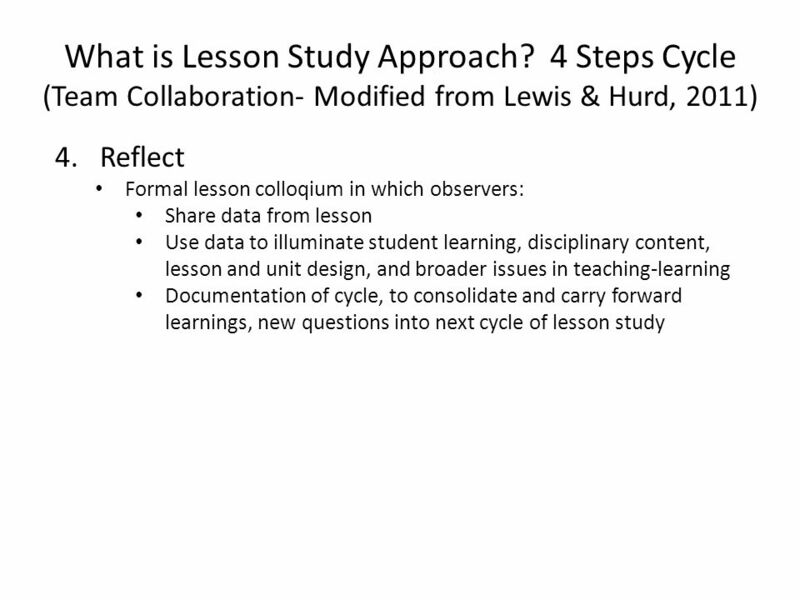 M eeting the Needs of All Students in a Collaborative Model: Co-Teaching The School District of Philadelphia A Collaborative Effort Office of Empowerment. 1 New Hampshire’s preK-16 Literacy Action Plan for the 21 st Century Deb Wiswell & Linda Stimson NH Literacy Task Force July 23, 2007. 1 Strengthening Teaching and Learning: Educational Leadership and Professional Standards SABES Directors’ Institute July 2011. 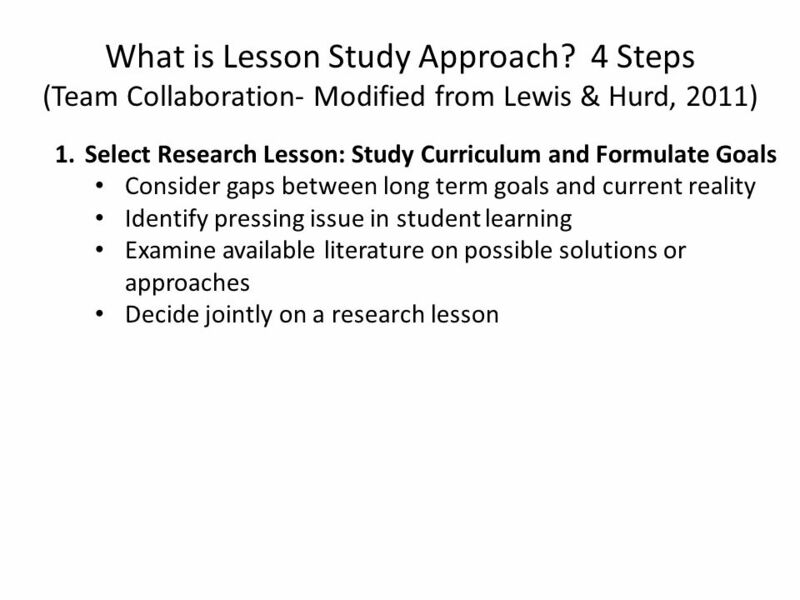 1 The Nebraska Leadership Initiative Overview of Rationale and Research A Collaboration between NCSA, NDE, and ESUs. 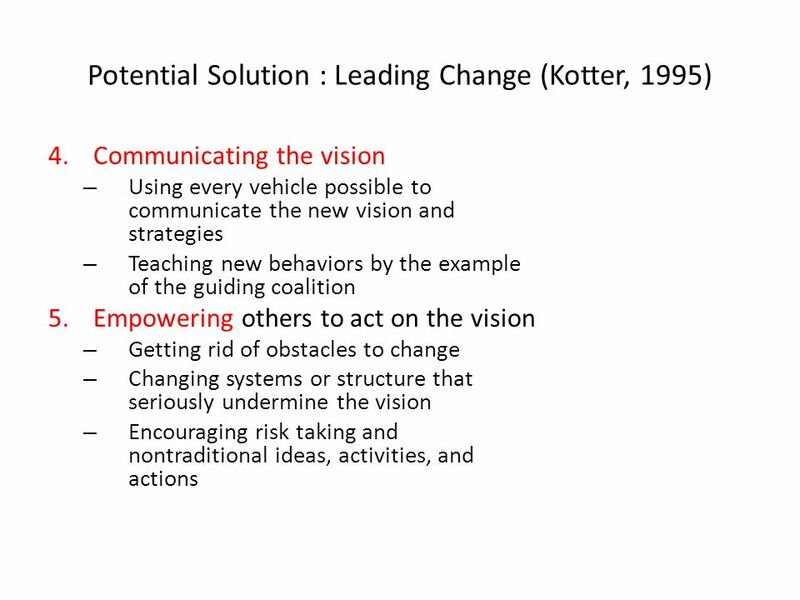 Leading Change Roderick K. King, MD, MPH Senior Faculty, MGH Disparities Solutions Center Instructor, Dept of Global Health and Social Medicine Harvard. 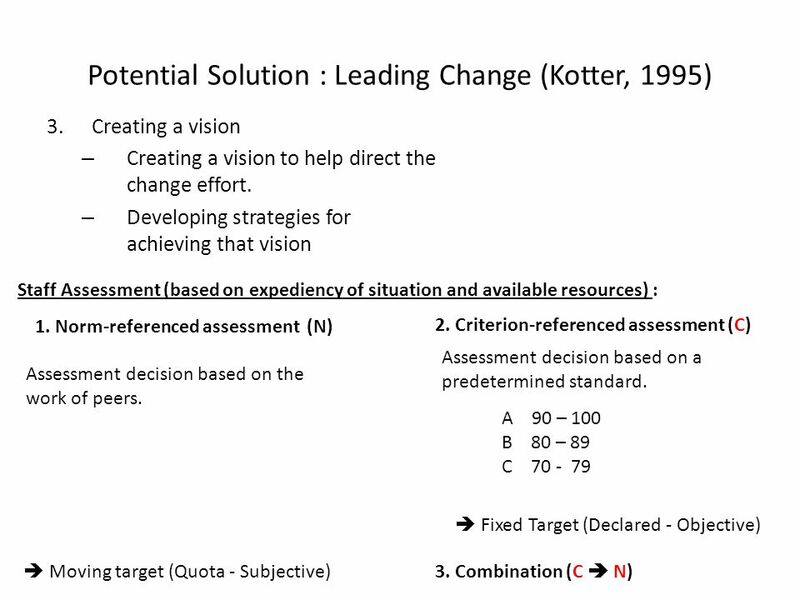 Social Media Requires Change Management Urgency! Guidance & governance Vision Communication Empowerment & enablement Campaign wins + competence development. LOCAL GOVERNMENT LEADERSHIP IN THE MANAGEMENT OF CHANGE Lyn Russell PSM Chief Executive Officer City of Canning. 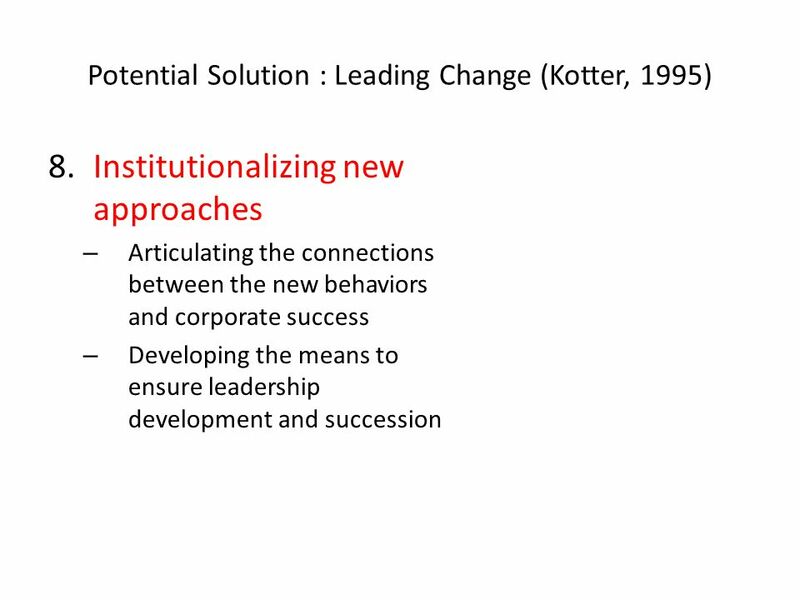 How We Approach Leadership in a High-Performing Schools Dr. Akram M. Zayour Dubai International School AlQuoz Branch 9/19/20151.